Our rentals give you the opportunity to enjoy the great outdoors in luxury. 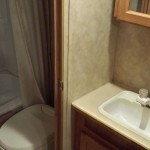 Whether you enjoy lakeside campgrounds, camping on family property, visiting national parks, tailgating at a football game, attending an event at the state fairgrounds, or need temporary housing during repairs, you will have a nice bathroom, kitchen, heat & a/c, and a peaceful place to rest your head. No need to worry about hotel reservation check in or check out times, airport lines, security, delays, or being stranded at sea on a cruise ship. With an RV rental you are on your own time! AAA RV Sales and Rentals offers the best customer service in the industry. We treat everyone like family and do our best to accommodate everyone’s needs in ways that the bigger companies won’t. Also, if you already own an RV, you can follow this link www.aaarvcollisionandservice.com for award winning RV parts and repair needs! Voted the nation’s #1 RV Collision & Service facility! Last, but not least, don’t forget to subscribe to our newsletter at the bottom of the page for RVing tips and tricks and info on upcoming discounts and events. CLICK HERE FOR ADD-ON PACKAGES!!! you can now rent bedding, bath towels, and kitchen accessories for your trip! Hello Tenna, I’m not sure which vehicle you are referring to. However, we have 2 rentals available for the dates you requested. That would be our 2006 Jayco Jay Flight bumper pull travel trailer and our 2009 Four Winds Chateau class c motor home. The trailer would require a $300 refundable deposit and cost $1159.52 for the rental. 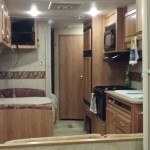 The motor home would require a $500 deposit and cost $1839.24 for the rental. Please give us a call at 405-634-1429 for more info. Thank you. Is the 2009 Four Winds Chateau available for May 25th – 28th 2018? If so, how much with just a basic package? Probably need a generator? Yes, the Chateau is still available. However, we are closed 5/28 for Memorial Day. The rental would have to be returned on Tues. 5/29 by 3 pm. Your total cost for the rental would come to $860.92 after tax. Generator use is charged at $2 per hour or $20 per day. You will have 400 free miles. Once the free miles have been used, you are charged at $0.35 per mile for each additional mile. Please give us a call at 405-634-1429 for more info. Thank you. Hello Larry, the motor home you inquired about is still available. Your total for the dates you requested comes to $860.92 after tax. It has an on board generator that is charged on a per use basis at $2 per hour. Give us a call at 405-634-1429 for more info. Thank you. 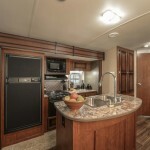 We would like to rent the 2013 Heartland Wilderness 2350BH ($110 a day) for March 22-25. We will back on the 25th, and I think you are closed. Would we be charged for 3 days or 4 days if we return on Monday the 26th? Hello Jessica, yes we are closed on the weekends. Your rental would have to be returned on Monday 3/26. The total for your rental would come to $559.42 after tax plus a $300 refundable deposit. Please give us a call at 405-634-1429 for more info. Thank you. I am looking for a small motor home for 1 week in May 2018 vacation. Unlimited miles. Can you help us out. We do have a motor home that rents for $170 per day, but unlimited miles are for travel trailers only. The motor home would get 100 miles free for each day you rent it and then $0.35 per mile after your free allotment has been used. If you rent for a week or longer the mileage is only $0.25 per mile. 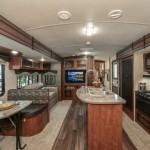 We have a 2009 Four Winds Chateau (Class C Motorhome) available. Your total for the dates you requested would come to $860.92 after tax. You would get 400 miles free. Overage is charged at $0.35 per mile. Give us a call at 405-634-1429 for more info. Thank you. You have rentals that are already on the site to rent? Around the first of December 2017. Yes, we have travel trailers and motor homes available for rent in December. We currently do not carry any pop up trailers. Our smallest trailer requires a tow capacity of 6900 lbs and rents for $110 per night. We r looking to rent Travel trailer that we can haul motorcycle in,sleeps two, 4-6 days, in the mth of late August! DO u carry something like this?? It sounds like you need a toy hauler. Unfortunately, we do not have a toy hauler travel trailer available for rent. Will you have any motor homes that sleep 6 available on July 3- July 10? If so, what are the rental rates and fees? Sorry, we are completely booked for the 4th of July. Do you have any trailers for July 8 or 15th. We only need it for one night. If you have anything available can you send me the price and the options. Could time be adjusted as well? 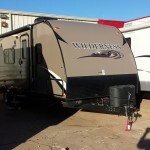 We have 1 trailer (2013 Heartland Wilderness 2350 BH) still available for the weekend of the 15th. However, we are closed on the weekend and we also have a 3 night minimum. Your rental would have to be picked up Fri. 7/14 between 9 am and 3 pm and returned Mon. 7/17 between 9 am and 3 pm. The total for your rental would come to $439.93 after tax. Please give us a call at 405-634-1429 for more info. Thank you. I’m looking for a pop up camper or something similar for memorial day weekend. All of our rental units have been booked for Memorial Day weekend. However, one of our employees here does have a pop up camper that he is selling for $3000. Give us a call at 405-634-1429 for more info. Thank you. Hello Alan, thank you for contacting us. 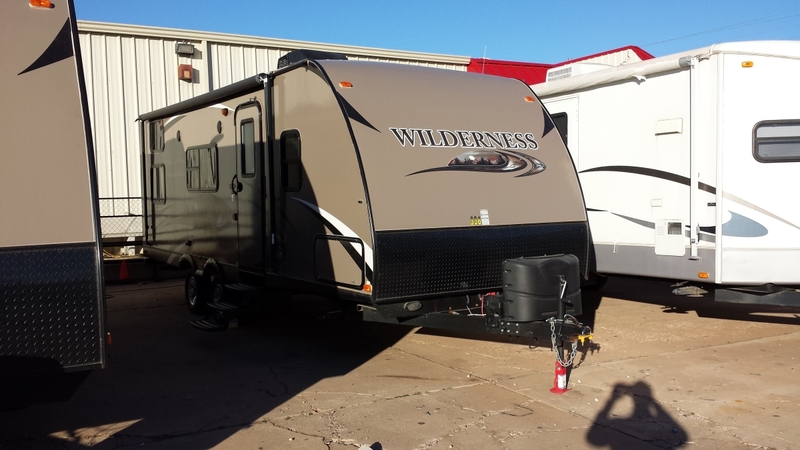 We have on trailer still available (2013 Heartland Wilderness 2650 BH), but it requires a tow capacity of 6900 lbs which is probably a little higher than the tow capacity of your Pathfinder. 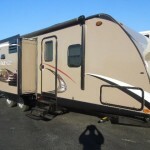 We also have a 2009 Four Winds Chateau 28A Class C motor home available. It rents for $170 per night with just a $500 deposit. However, we are closed on the weekend. Your rental would have to be returned on Mon. 5/8. We also offer a 10% military discount. 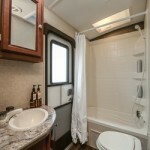 You can view pictures of the motor home on our website at http://www.aaarvsalesandrentals.com. Please give us a call at 405-634-1429 for more info. Thank you. Do you have any travel trailers to rent for April 28th & 29th? One that would sleep 6 to 8 people? Hello Teri, we still have 1 travel trailer available that would sleep up to 7 (2006 Jayco Jay Flight 27bh). However, we are closed on the weekends and we have a 3 night minimum on our rentals. So, if you were to pick up Fri. 4/28 and return on Mon. 5/1, your total would come to $439.93 after tax. Please give us a call at 405-634-1429 for more info. Thank you. Do you offer any type of driving service for your r.v. rentals if so how much would a driver cost we are think of renting a r.v. to go to a away football game next year and tailgate. We don’t offer a driving service, but we do offer a delivery service for travel trailers at a rate of $2 per mile. Also, keep in mind we require a 3 night minimum for rentals, and we are closed on the weekend. Please give us a call at 405-634-1429 for more info. Thank you. Do you do military discount? Yes, we offer a 10% discount to active and retired military, police officers, and firefighters. Monthly rentals start at $2000 per month with a $300 deposit. We have 2 travel trailers available for those dates. Please give me a call at 405-634-1429 for more info. Thank you. any toy haulers for rent? Sorry, currently we don’t carry any toy haulers. do you do weekly rates at all for RV’s? Do you have military discounts? All RV’s are given a 10% discount when rented for longer than a week. Military and law enforcement are given a 10% discount. Military and law enforcement who are renting for a week or longer are given a 15% discount. Can you tell me what size RV I can rent with a class D license? I would like something for 7 people. We have a 2009 Four Winds Chateau 28A that you can drive with a class d license. It does not have any slide outs, but it can sleep up to 8 people assuming you have 2 people in each bed. Give me a call at 405-634-1429 for more info. Thank you. We only have 1 travel trailer available for those dates. 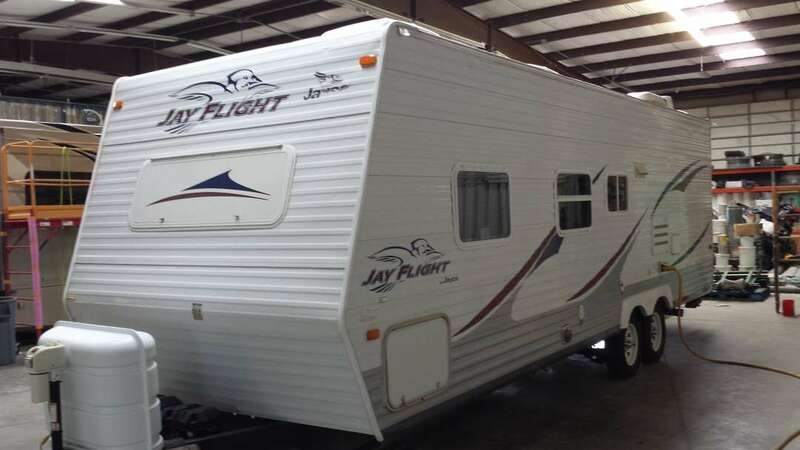 It is our 2006 Jayco Jay Flight 27 bh. Your total for the dates you requested would come to $439.93 after tax. You would also have a $300 deposit which would be returned to you within 3 days of your return. Please give me a call at 405-634-1429 for more info. Thank you. Im looking for a trailer to rent for July14th, 15th, 16th 17th, return on 18th. I have a GMC Acadia which possibly can pull a small trailer. 7,500 lbs. One that sleeps 4 or 5. We have one trailer still available for those dates. It is our Heartland Wilderness 2650 bh. It can sleep up to 6 people. your total for the dates you requested would come to $646.32 after tax. You will also have a $300 deposit which will be refunded to you within 3 days of your return. Please give me a call at 405-634-1429 for more info. Thank you. Anything available for July 1st thru the 4th? Sorry, we don’t have any more rentals available for the 4th of July weekend. We are interested in the 2014 Heartland Wilderness for weekend of June 10-12. Is it available and what is the rate? Sorry, all of our travel trailers have been booked for the weekend you requested. We have 1 motor home still available that rents for $170 per day. Also, we are closed on the weekend so your rental would have to extend through Mon. 6/13. Please give me a call at 405-634-1429 for more info. Thank you. Is there a monthly rate? 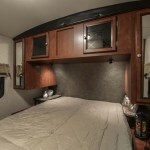 Yes, monthly rates for travel trailers start at $2000 per month. 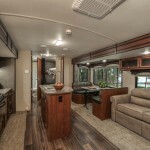 Monthly rates for motor homes are $3200 per month. Interested in renting the 2014 Heartland Wildnerness Thursday through Tuesday of Memorial Day. We aare staying near Broken Bow. Pls let me know if it is available. My cell is 214 734 3998. Sorry, we don’t have any more rentals available for Memorial Day weekend. For the Chateau, is the $170/day includes unlimited milage or is it limited? No, unlimited mileage is for travel trailers only. Motor homes are given 100 miles free for every day that you rent and charged $0.35 per mile after the free miles run out. do you have a weekly rental rate? we are building a house & it may not be ready to move into by the time we reach our closing date of the house we are selling. looking to potentially rent instead of buying. not looking for anything fancy. Yes, rentals that extend a week or better are given a 10% discount. We also have monthly rates starting at $2000 per month. Do you deliver and pick up for Rocklahoma? Yes. Our delivery fee is $2 per loaded mile. Rocklahoma is in Pryor, Oklahoma which is 150 miles away from us here in Oklahoma City, OK. It would cost $300 to drop off and $300 to pick up plus your daily rental rate. 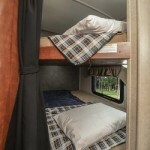 We have a 30 ft long Class C motorhome with no slide out that sleeps up to 8 people. It rents for $170 per day with a $500 deposit. We also have a 28 ft long travel trailer with 2 slide outs that sleeps up to 8 people which rents for $150 per day with a $300 deposit. Give me a call at 405-634-1429 for more info. You can also view pictures of the vehicles on our website at http://www.aaarvsalesandrentals.com/rental. Looking for a rv for just 2 people for 3/11-3/13 just wanting to know how to rent and a deposit and what is required to rent one. Thank you! Hello Kelsey, thank you for contacting us. We do have trailers and motor homes available for the dates you requested. However, we do also have a 3 night minimum and we are closed on the weekend. We would gladly accommodate your rental if you can pick up Fri. 3/11 and return Mon. 3/14. Your total would come to $439.93 depending on your preference in trailer. A motor home for that same time frame would run $666.06 total after tax. We require a $300 deposit on travel trailers and a $500 deposit on motor homes. Please give me a call at 405-634-1429 for more info. Thank you. 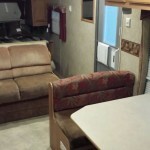 Looking for a Class C Motorhome for the week of 3/12-3/20. Traveling to San Diego California with my family of 5. We do have a Class C available for the dates you requested. It rents for $170 per night with a $500 deposit which will be refunded to you within 10 days of your return. Please give me a call at 405-634-1429 for more info or to complete your reservation while it’s still available. Previously rented from you. What is available on 9/8 or 9/9 for a week? Sorry, we don’t have any more rentals available for this week. I need a Rv that sleeps at least 5-6 for Labor Day weekend. How much and I would pick up if that’s ok. I can pick up that Thursday. 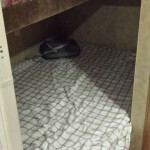 Our mid size trailer sleeps up to 6 and rents for $130 per day. Please call 405-634-1429 for more info or to complete your reservation. Would you be able to deliver and set up if rented for the week-end? Yes, we deliver at a rate of $2 per mile with no set up fee. Our location is in south Oklahoma City which is 168.5 miles away from Tahlequah. It would cost $336 to drop off plus $336 to pick up for a total delivery fee of $672. Do u guys drop off to site? n pick up ? Yes! We deliver our trailers at a rate of $2 per loaded mile. How high credit score needed to buy? We have been able to work with customers who have had credit scores as low as 550! I have to leave and stay away from home for at least 6 months, I want to rent an rv bumper pull. Do you have anything available that would fit the bill and be cost effective. Our monthly rentals start at $2000 per month up to $2800 per month depending on the size you need. I would be willing to offer an additional $400 off per month if you can commit to at least 3 months. Our monthly rental rates start at $2000 per month up to $2800 per month depending on the size you need. do you rent any pop ups? No, we don’t carry any pop-up tent trailers. However, all of our bumper pull travel trailers are half ton towable. In fact, our smallest only weighs 4395 lbs. Are there any places I can look for any type of discounts….do you give fire/police discounts, senior discounts, anything we can look for to reduce the cost? Yes, we offer a 10% discount to military, law enforcement, fire fighters, and senior citizens. If I want to rent a trailer do I need to reserve it in advance? Yes, the sooner the better. We just have to have a debit card or credit card to reserve it and we are waiving the deposit for now so you won’t be charged anything until the day you come to pick up. We have suspended our deposit requirement so you won’t have to pay anything until the day of pick up. However, we do not have any motor homes available at the moment. We have several 1/2 ton tow-able bumper pull travel trailers starting at $110 per day. Call 405-634-1429 if you would like to make a reservation or get more info. Thank you. Do you have any VW Winnebago Realtas to rent? 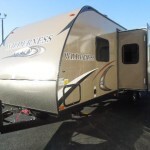 At the moment all we have available are the Heartland Wilderness bumper pull travel trailers. I am quite sure I’ll learn many new stuff right here! Enter your email here and click subscribe to get info available discounts, coupons, and general RV news. Copyright © 2019 AAA RV Sales and Rentals.All rights reserved.